Opera singer Camilla Williams, the first black woman to appear in a leading role with a major US opera company, has died in Indiana at 92. Camilla Williams had been suffering from cancer, according to Indiana University Jacobs School of Music, where she became the first black professor of voice. The opera singer made her debut in May 1946 in the title role of Madam Butterfly with the New York City Opera. Camilla Williams also became a strong advocate for civil rights. “It’s impossible to overstate how important that was for the music scene in New York, for African-American singers, and for American singers,” Paul F. Driscoll, the editor-in-chief of Opera News, told the Washington Post. Camilla Williams’ debut performance came nearly nine years before Marian Anderson became the first African-American singer to appear at New York’s more prestigious Metropolitan Opera. 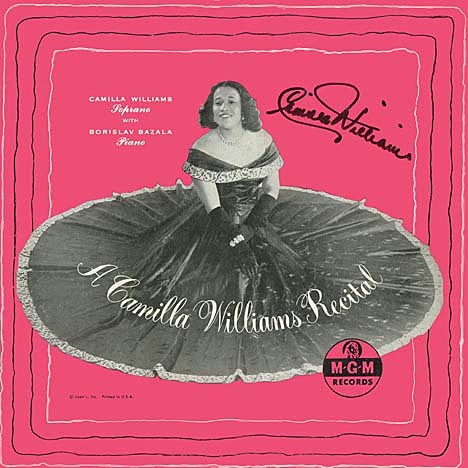 A New York Times review of Camilla Williams at the time, said the singer displayed “a vividness and subtlety unmatched by any other artist who has assayed the part here in many a year”. In 1947 Camilla Williams performed the role of Mimi in Puccini’s La Boheme and in 1948 she sang the title role of Verdi’s Aida. In 1951 Camilla Williams sang the title female role in first complete recording of Gershwin’s Porgy and Bess. A lifetime member of the National Association for the Advancement of Colored People (NAACP), Camilla Williams performed in her hometown of Danville, Virginia in 1963, to raise funds to free jailed civil rights demonstrators. Camilla Williams also sang the national anthem before 200,000 people at the 1963 civil rights march on Washington, immediately before Martin Luther King gave his famous I Have a Dream speech. In 1950, the opera singer married defense lawyer Charles Beavers, whose clients included civil rights leader Malcolm X. After Charles Beavers’ death in 1970, Camilla Williams stepped away from opera in 1971 and began teaching before eventually retiring in 1997. Her autobiography – “The Life of Camilla Williams, African American Classical Singer and Diva” – was published last year.